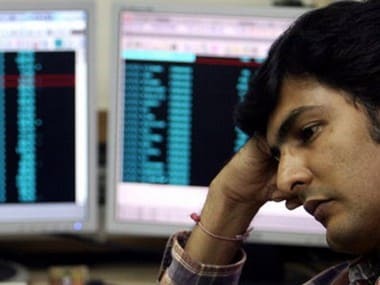 Mumbai: The BSE Sensex closed 192 points lower on Thursday after the RBI lowered GDP growth forecast for 2019-20 and kept its monetary policy stance 'neutral' amid uncertainty over monsoon. In its first bi-monthly policy review for this financial year, the central bank cut the key interest rate by 0.25 percent for the second time in a row. 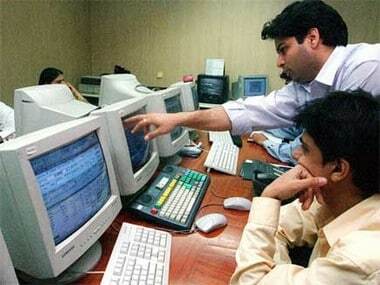 After a volatile session, the 30-share Sensex index settled 192.40 points, or 0.49 percent, lower at 38,684.72. In a similar movement, the broader NSE Nifty slipped below the 11,600 mark, ending 45.95 points, or 0.39 percent, down at 11,598. TCS was the biggest loser in the Sensex pack, sliding 3.17 percent, followed by HCL Tech, Yes Bank, IndusInd Bank, RIL, ICICI Bank, Infosys, Tata Steel, Kotak Bank and L&T, down up to 2.34 percent. 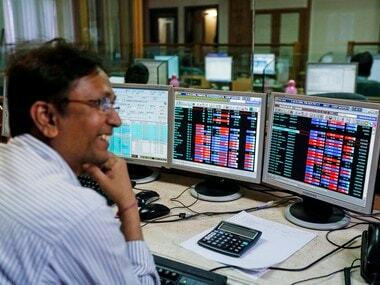 On the other hand, Tata Motors, Hero MotoCorp, Bharti Airtel, HDFC, Asian Paints, Vedanta and Sun Pharma were among the top gainers, rising up to 2.49 percent. Sectorally, BSE IT, energy and oil and gas indices suffered most losses, shedding up to 1.53 percent. Rate-sensitive stocks ended on a mixed note, with the BSE auto and realty indices ending in the green with gains of up to 0.61 percent. BSE bankex, however, ended 0.67 percent lower. Broader indices too ended in the red, with the BSE Midcap and Smallcap slipping up to 0.32 percent. "Investors turned cautious about the downward revision in GDP growth to 7.2 percent for FY20 while premium valuation and concerns over monsoon further impacted the sentiment," said Vinod Nair, Head of Research, Geojit Financial Services. In an attempt to propel economy ahead of the general elections, the Reserve Bank of India (RBI) on Thursday lowered the benchmark interest rate by 0.25 percent for the second time in a row to the lowest level in one year on softening inflation. The central bank, however, kept its monetary policy stance 'neutral' over uncertainty over monsoon, and also lowered the gross domestic product (GDP) growth forecast for 2019-20 to 7.2 percent from 7.4 percent predicted in the February policy. Foreign institutional investors (FIIs) pulled out Rs 1,040.48 crore on Wednesday, and domestic institutional investors (DIIs) sold equities to the tune of Rs 80.83 crore, provisional data available with stock exchanges showed. In Asia, Korea's Kospi rose 0.15 percent, Japan's Nikkei inched up 0.05 percent and Shanghai Composite Index gained 0.94 percent. Hong Kong's Hang Seng declined 0.17 percent. In Europe, Frankfurt's DAX was down 0.03 percent, Paris CAC 40 fell 0.31 percent, while London's FTSE slipped 0.57 percent in early deals. The benchmark Brent crude futures fell 0.39 percent to $69.04 per barrel. Meanwhile, the rupee depreciated 63 paise to 69.04 against the US dollar intra-day.